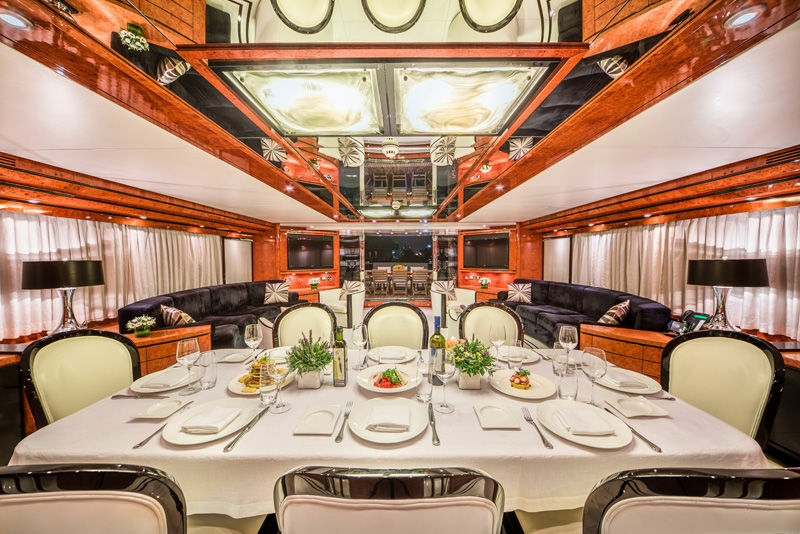 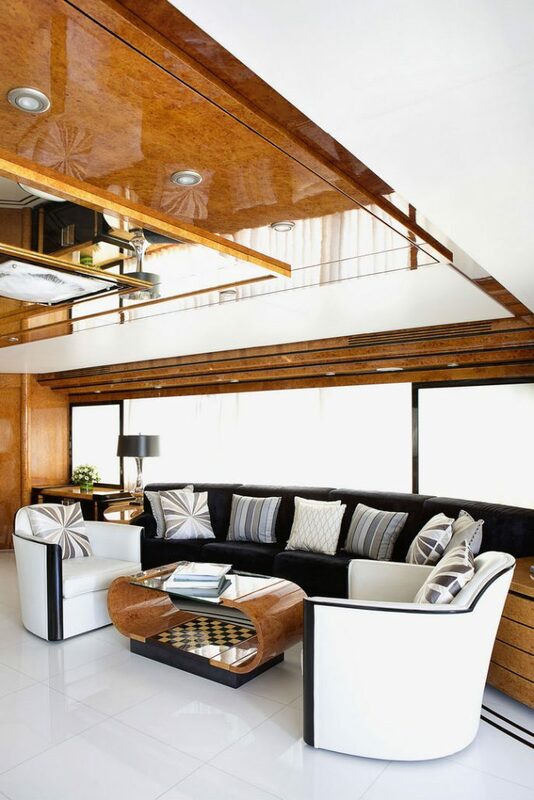 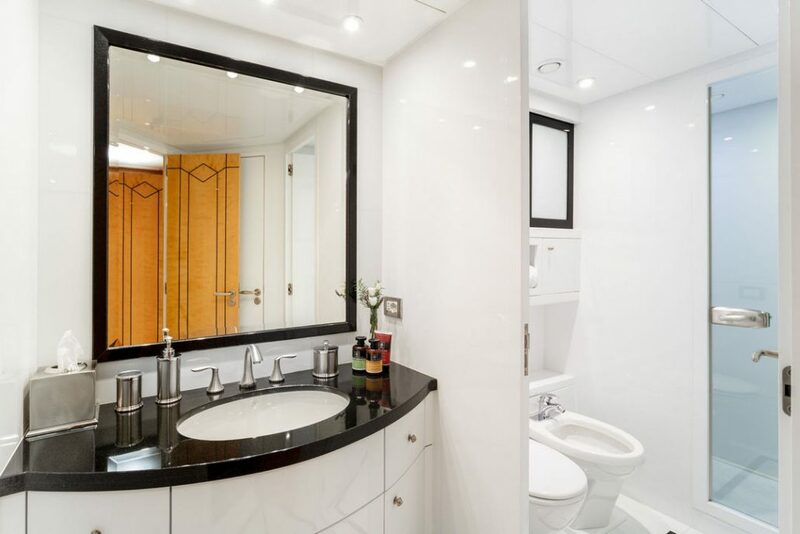 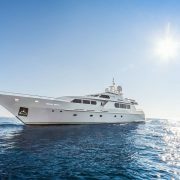 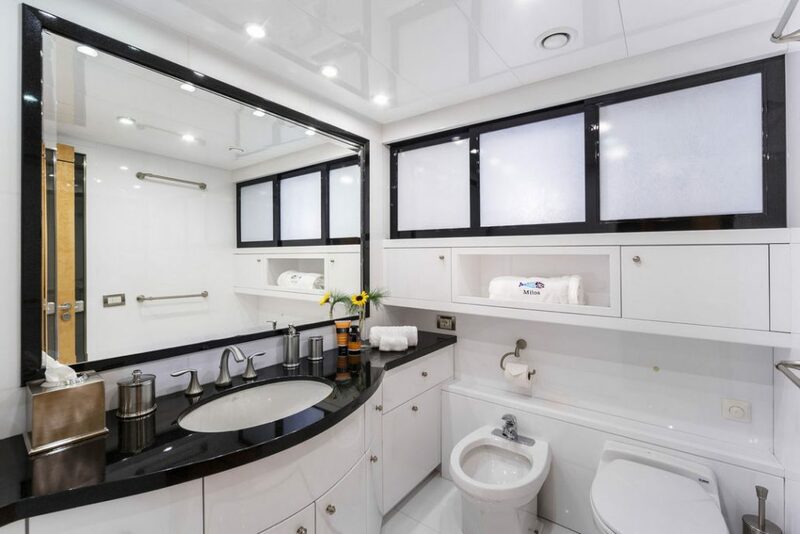 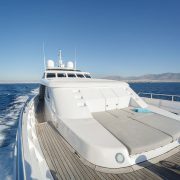 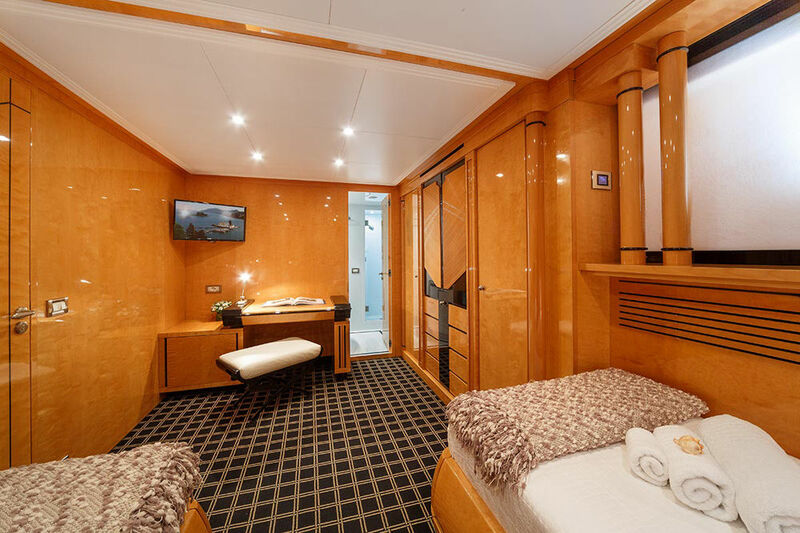 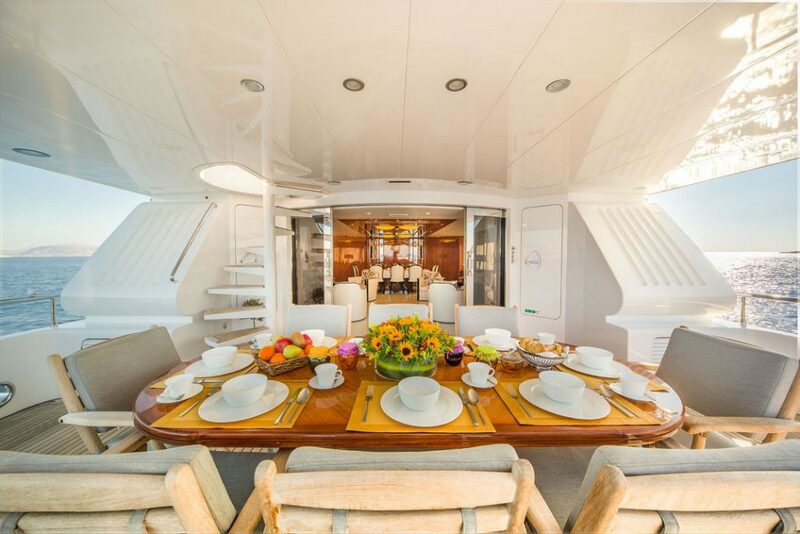 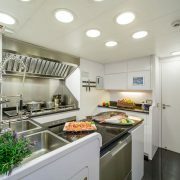 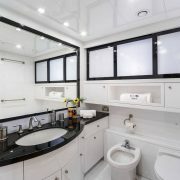 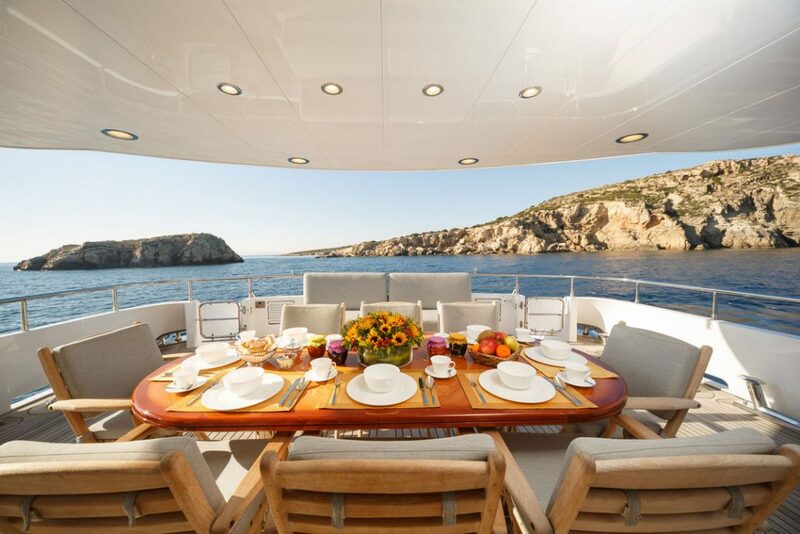 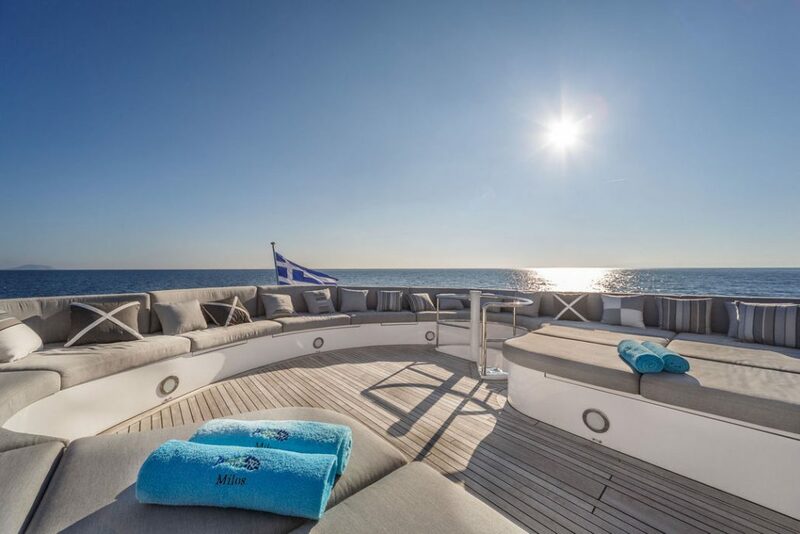 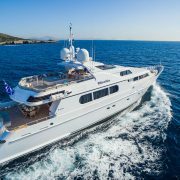 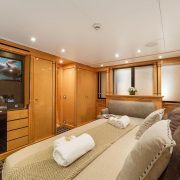 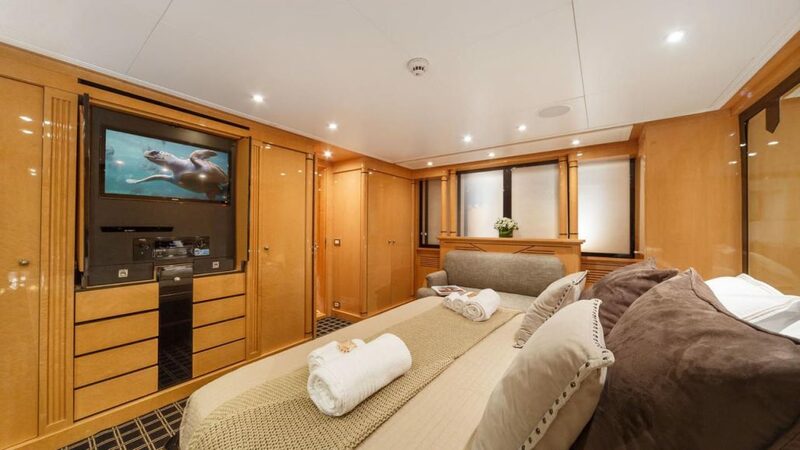 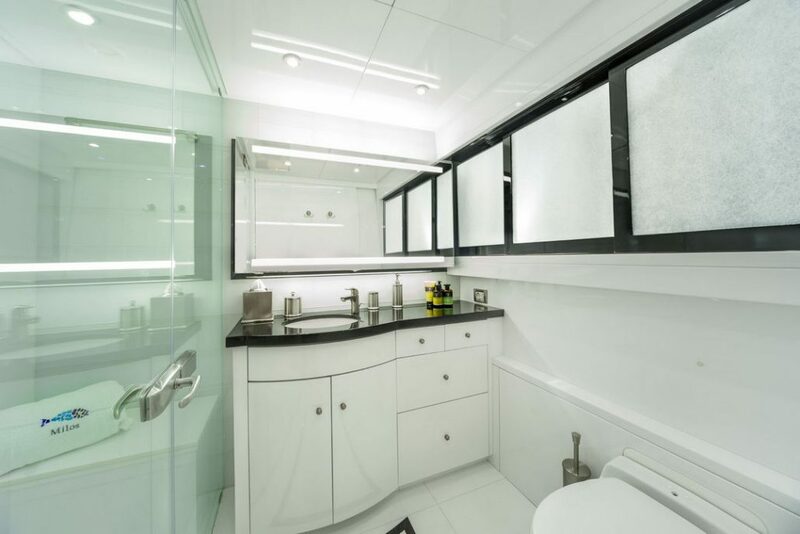 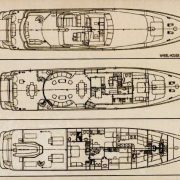 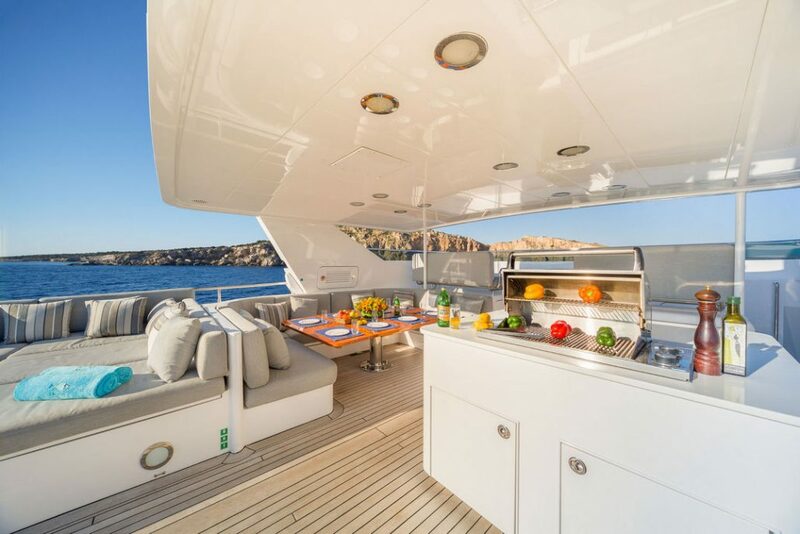 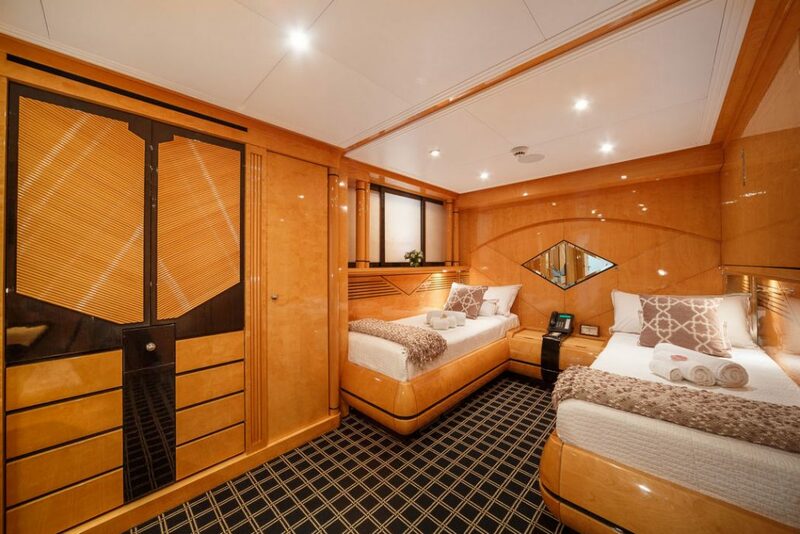 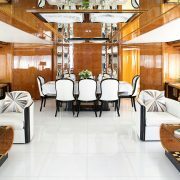 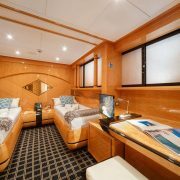 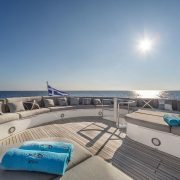 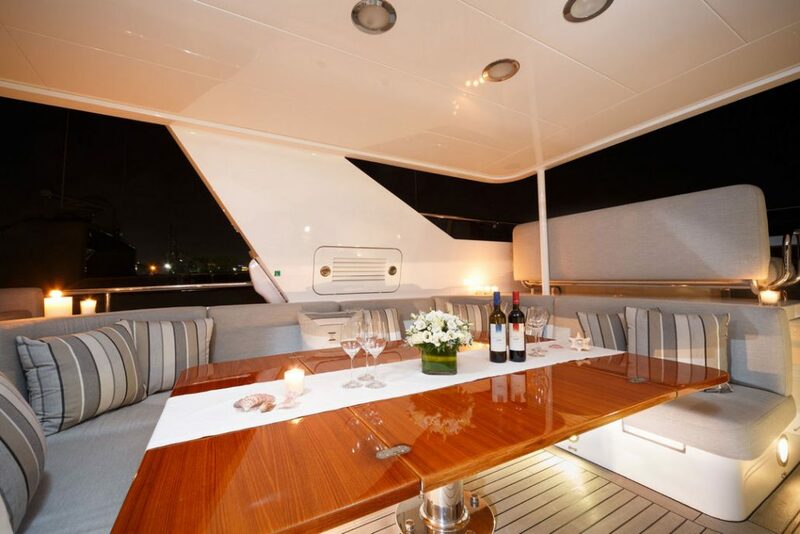 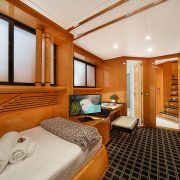 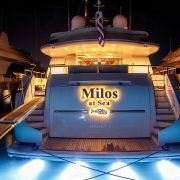 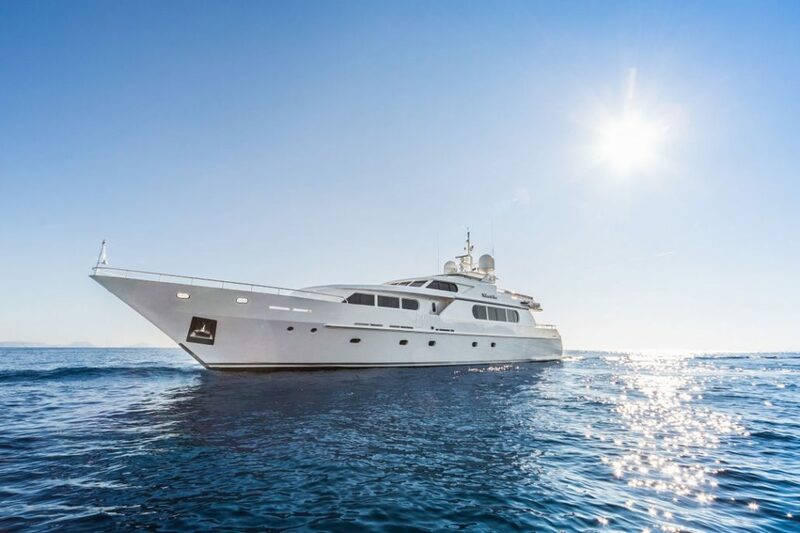 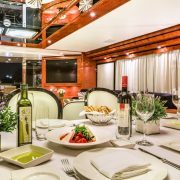 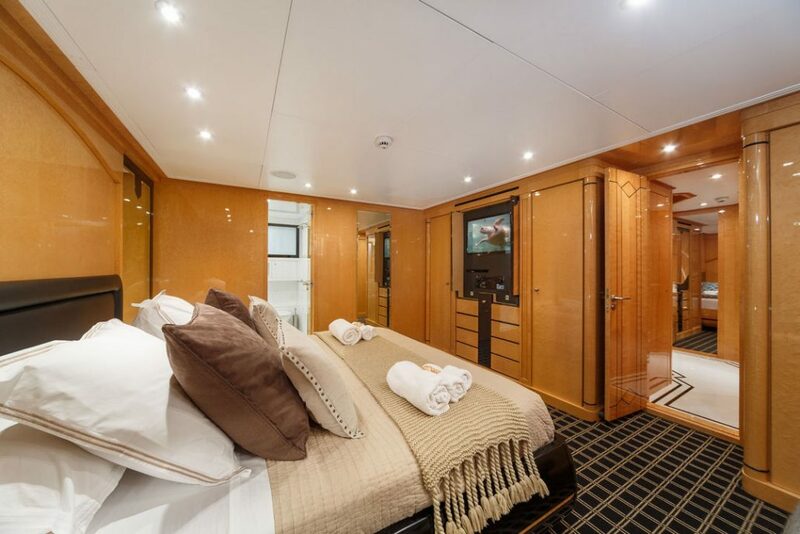 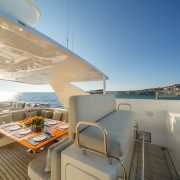 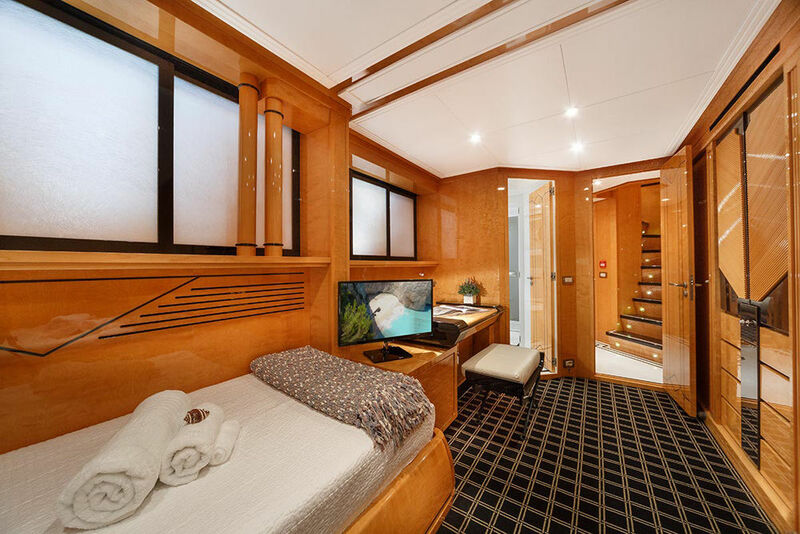 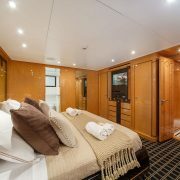 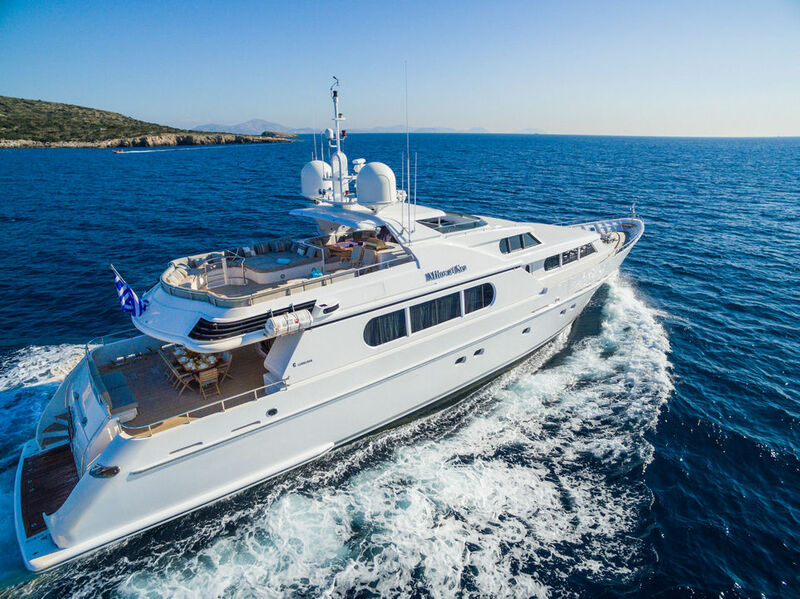 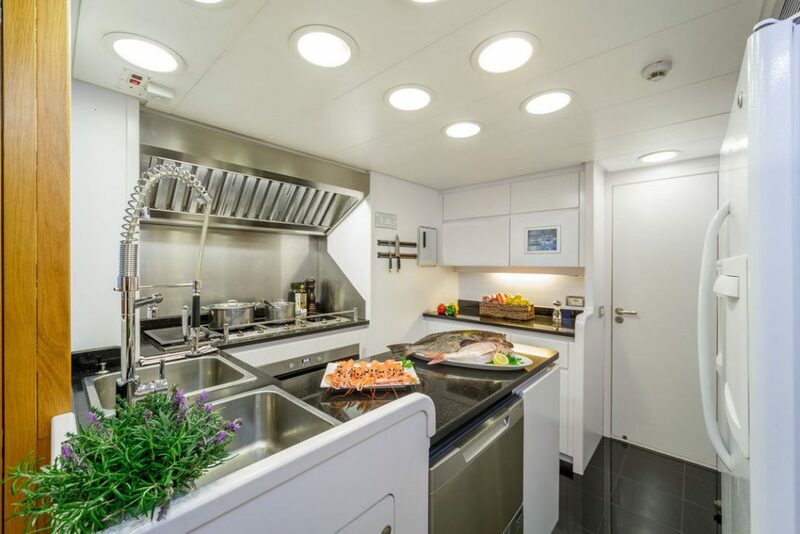 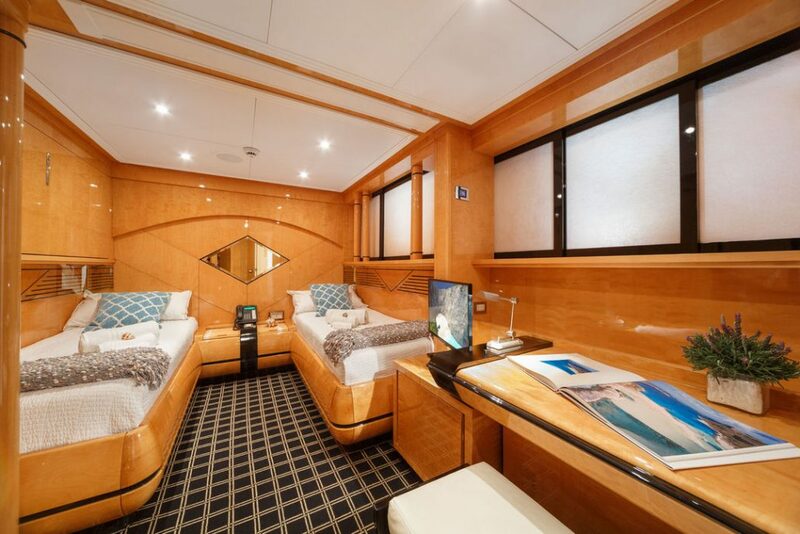 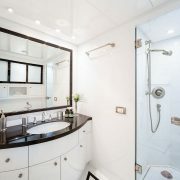 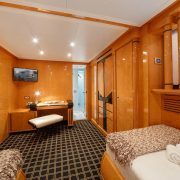 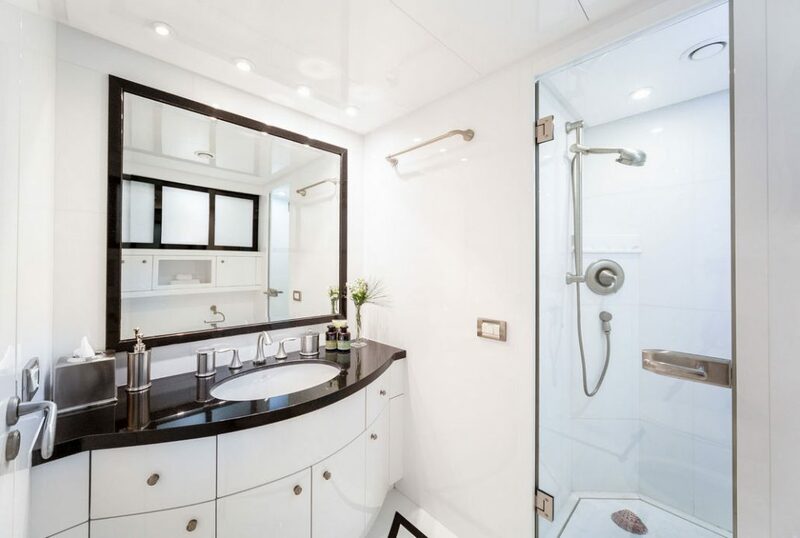 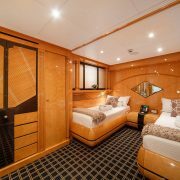 Milos at Sea was built by the world renowned Italian shipyard of Codecasa. 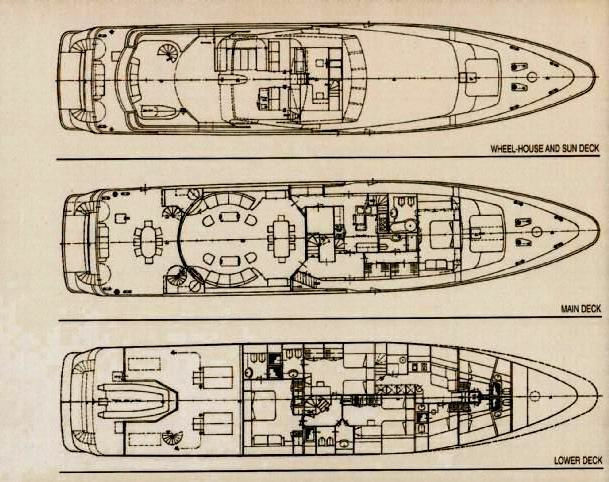 She was refitted in 2012 and 2015. 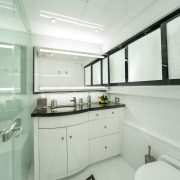 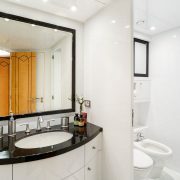 The sophisticated exterior design and engineering are also created by Codecasa. 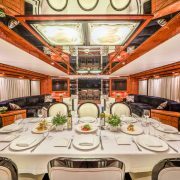 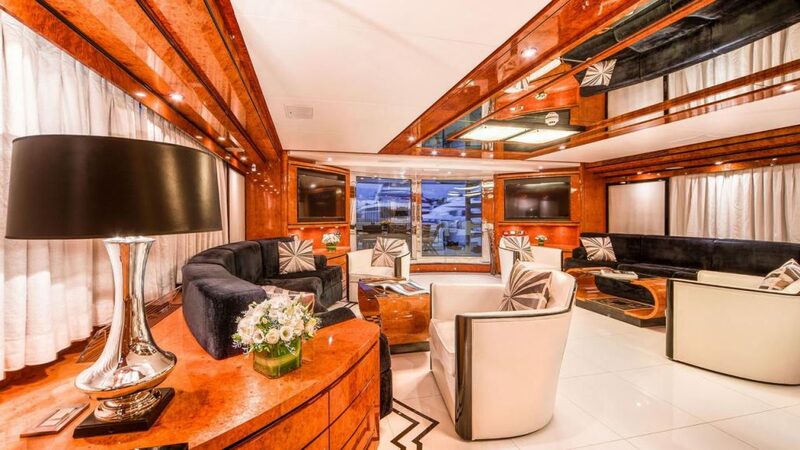 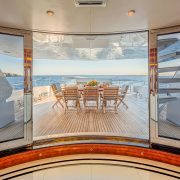 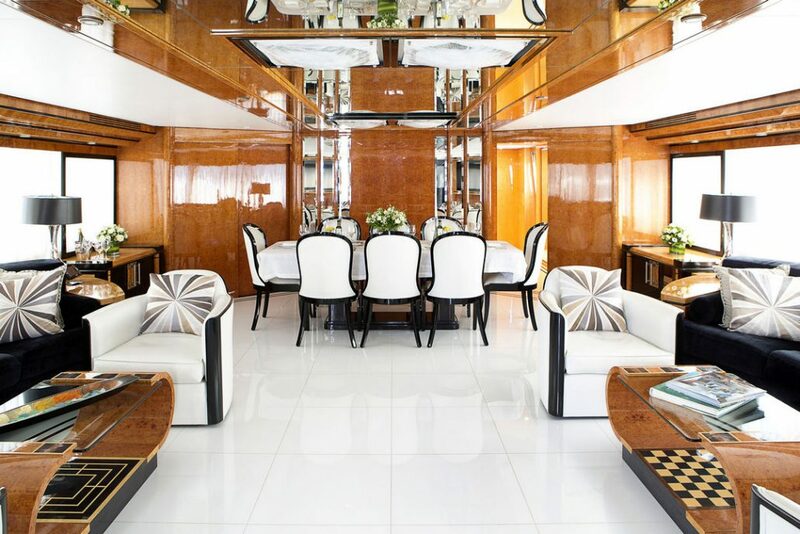 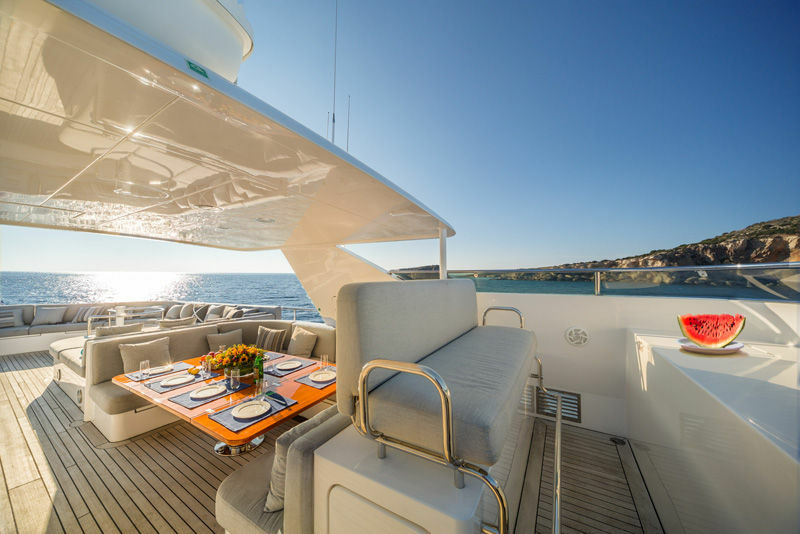 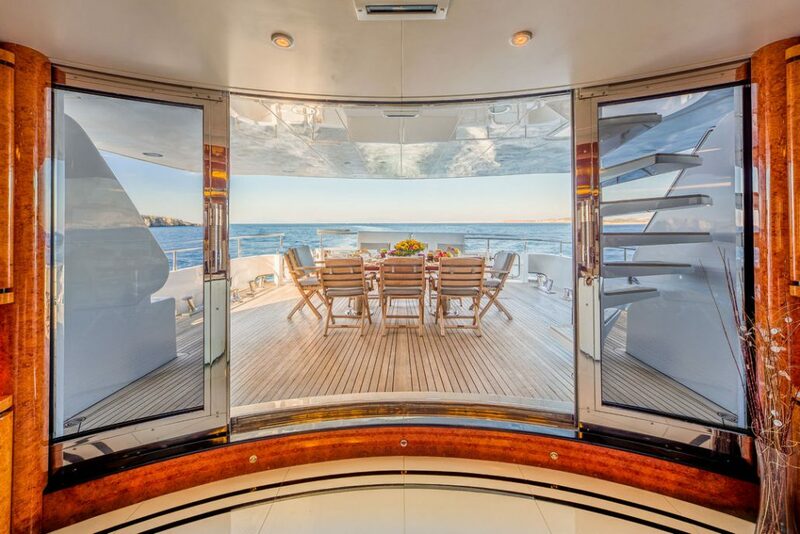 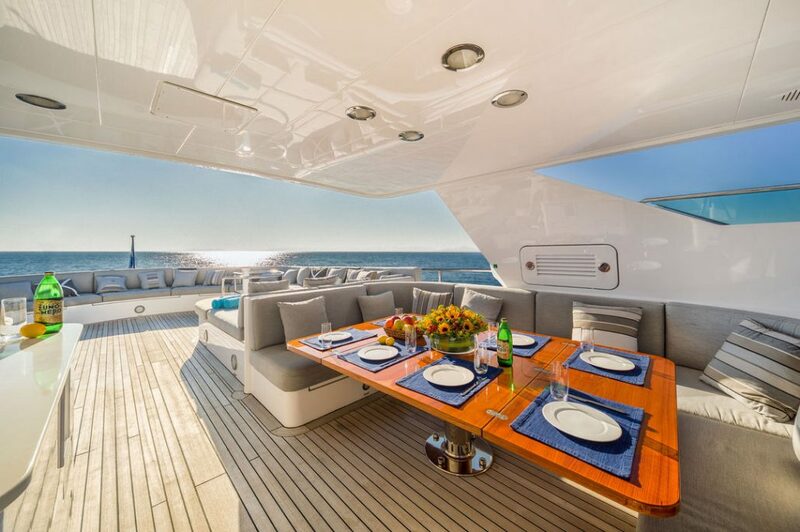 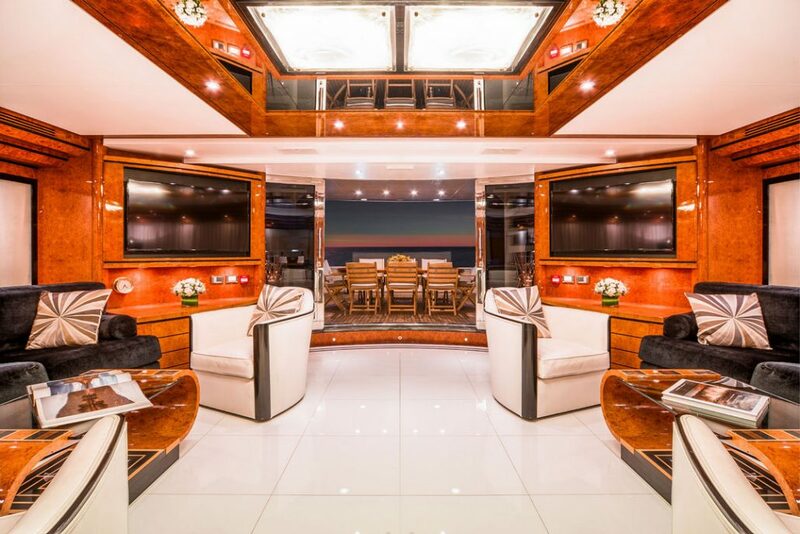 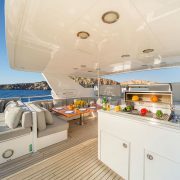 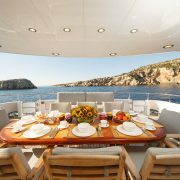 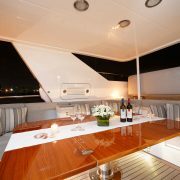 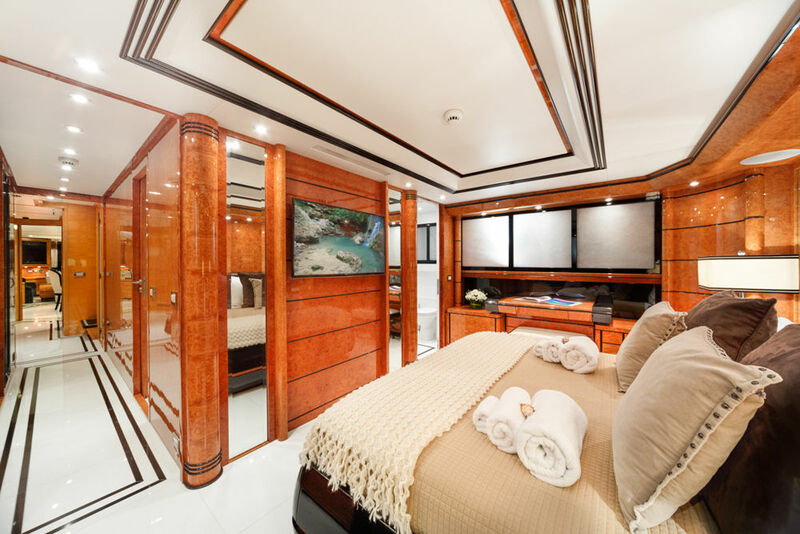 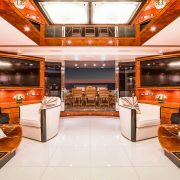 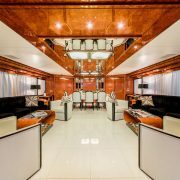 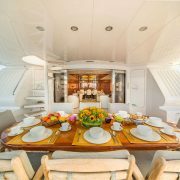 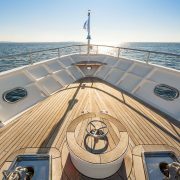 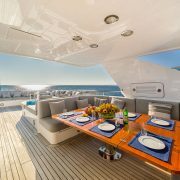 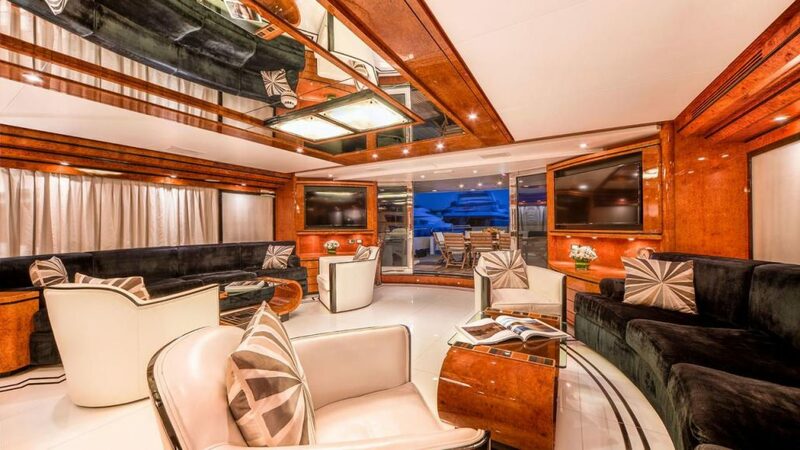 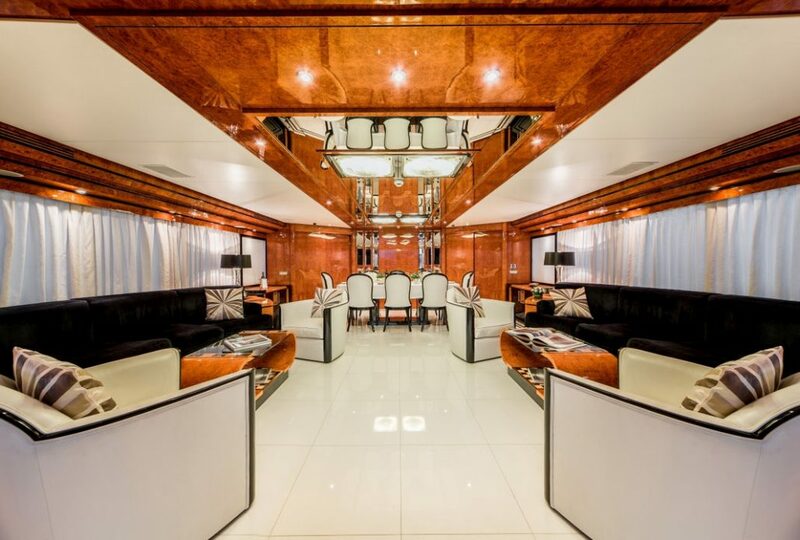 The luxury interior design and the overall styling was entrusted to the company Della Rolle design and for that it received the prestigious International Superyacht Society Awards for the best power boat 32-43m. 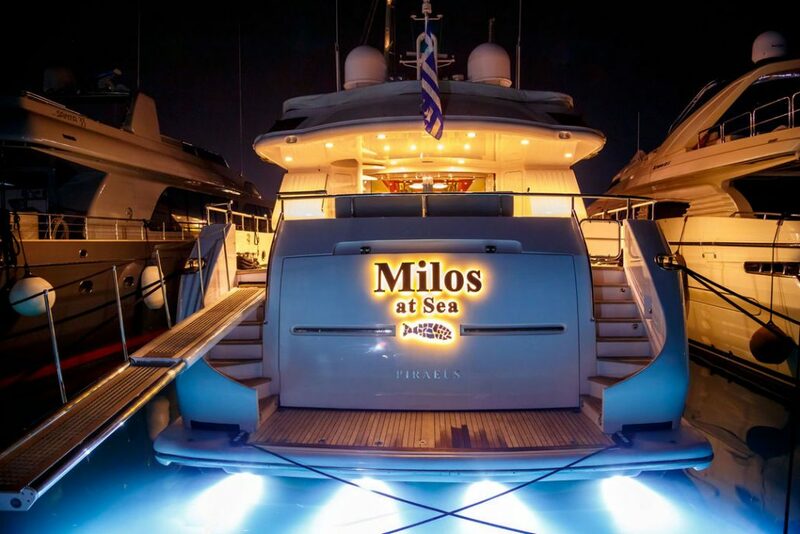 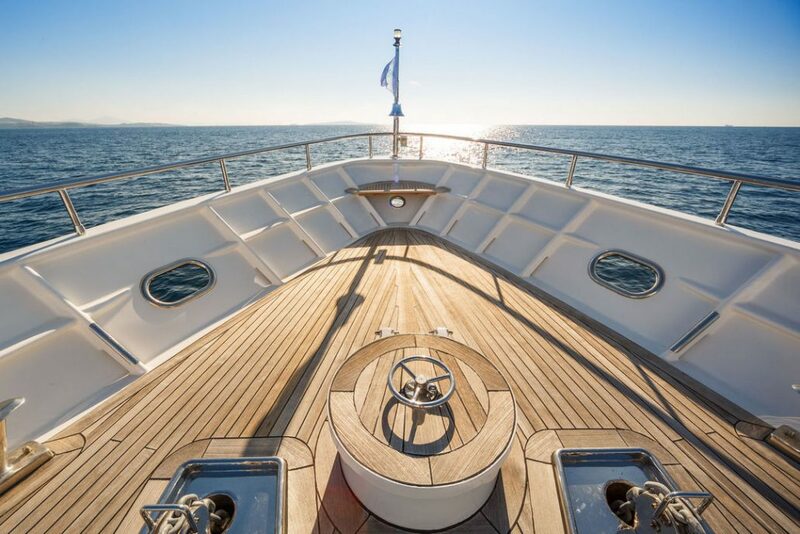 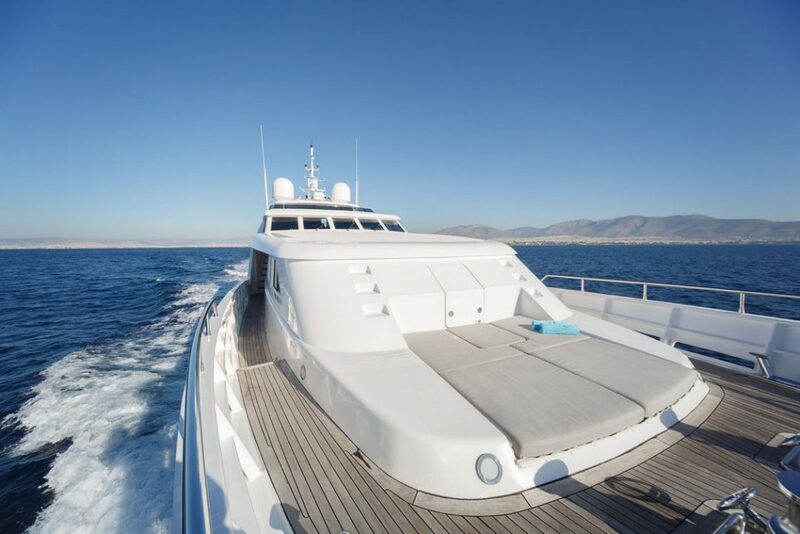 Milos at Sea is equipped with a state-of-the-art stabilization system which reduces roll motion effect, resulting in a comfortable feeling when cruising. 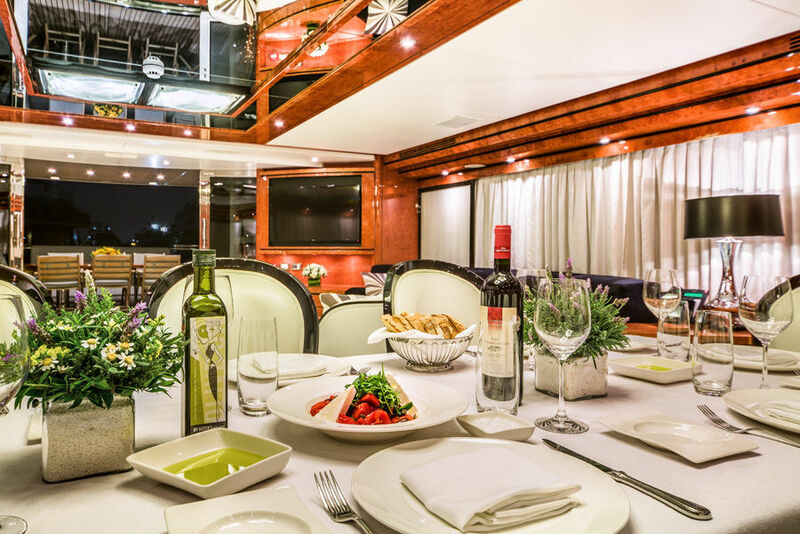 A natural link between Greek culture, the sea and culinary art.